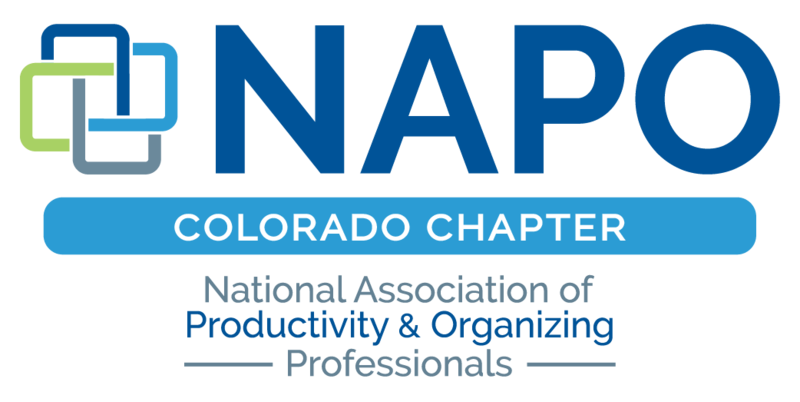 You must already be a member of the national NAPO organization before you can join the Colorado chapter of NAPO. If you are not yet a national NAPO member, please do not apply for chapter membership yet. Join national NAPO first. You do not need to be a member of NAPO National to join as a local Business Partner. Business Partners represent Colorado businesses that provide products and services that support or supplement the organizing and productivity field. To find out more about becoming an Business Partner or to attend an upcoming meeting as a potential Business Partner, contact the Director of Business Partners. You must be enrolled as a full-time student at an accredited college or university. A Student Member is not entitled to voting privileges, shall not serve as a Director on the Board, and shall not serve as an Officer of the Association. Student membership does require a NAPO National Student membership. Student Member - $20.00 (USD) Subscription period: 1 year No automatically recurring payments A Student Member shall be an individual who is enrolled as a full-time student at an accredited college or university. A Student Member is not entitled to voting privileges, shall not serve as a Director on the Board, and shall not serve as an Officer of the Association. Professional Member - $80.00 (USD) Subscription period: 1 year No automatically recurring payments A Professional Member shall be an individual, who has successfully completed the Professional Practices course requirements and is engaged in the organizing and/or productivity profession. A Professional Member is entitled to voting privileges, may serve as Director on the Board, and may serve as an Officer of the Association. Business Partner - $175.00 (USD) Subscription period: 1 year No automatically recurring payments A Corporate Associate Member shall be a business entity that is engaged in the manufacture, distribution, and/or sale of equipment and/or supplies or services that complement the organizing and/or productivity industry. Each Corporate Associate Member shall designate one individual as its Representative to the Association. A Corporate Associate Member Representative is entitled to voting privileges, may serve as a Director on the Board, but shall not serve as an Officer of the Association.